The Russian defense ministry has ordered 12 new production Sukhoi Su-57 fifth-generation fighters and confirmed next year as the target date for entry-into-service. 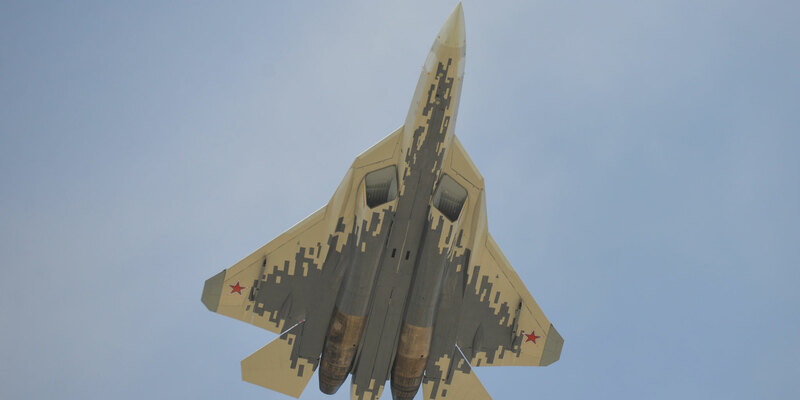 First flown eight years ago, 10 prototypes of the Su-57 have flown to date, and two of these may also join the first squadron. One of the prototypes has been flying with new "Item 30" engines since last December, but the initial production aircraft will retain the less advanced AL-41F-1 turbofans (manufacturer’s designation Item 117). Yuri Slyusar, president of United Aircraft Corporation (UAC), has said that if flight tests of the Item 30 engines go as planned, they will be installed on production Su-57s starting in 2023-2025. Two months after that, the defense ministry released a few shots from a video that showed an Su-57 launching a missile from its internal weapons bay in the lower fuselage. The weapon bore a close resemblance to the Tactical Missile Corporation (Russian acronym TRV) Kh-59MK2 that debuted at MAKS’2015. It is the second weapon by the same designation: the previous Kh-59MK2 was on display at MAKS’2009. Both are subsonic and have a firing range of approximately 300 km. While the earlier example had a launch weight of about a tonne and an active-radar seeker to home on radio-contrast targets, primarily ships, the newer version weighs 770 kg and employs an electro-optic seeker to home on land targets. Although the defense ministry officials praise Sukhoi and KnAAPO for timely execution of state defense orders, including on the Su-57, they are yet to place substantial orders for the type. The exportable version, known as the Fifth-Generation Fighter Aircraft (FGFA), is also having difficulty with its first intended customer, the Indian air force, which has not yet decided whether to stay in the respective joint project with Russia.